The Greater North Dakota Chamber (GNDC) is a business association that champions laws and regulations and advocates for North Dakota businesses. 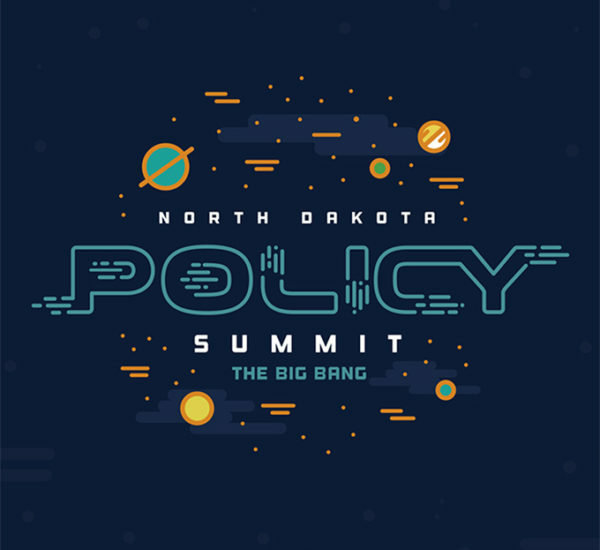 GNDC needed event materials for its second annual Policy Summit, an event that brings North Dakota businesses together to talk about issues affecting the state’s business climate. 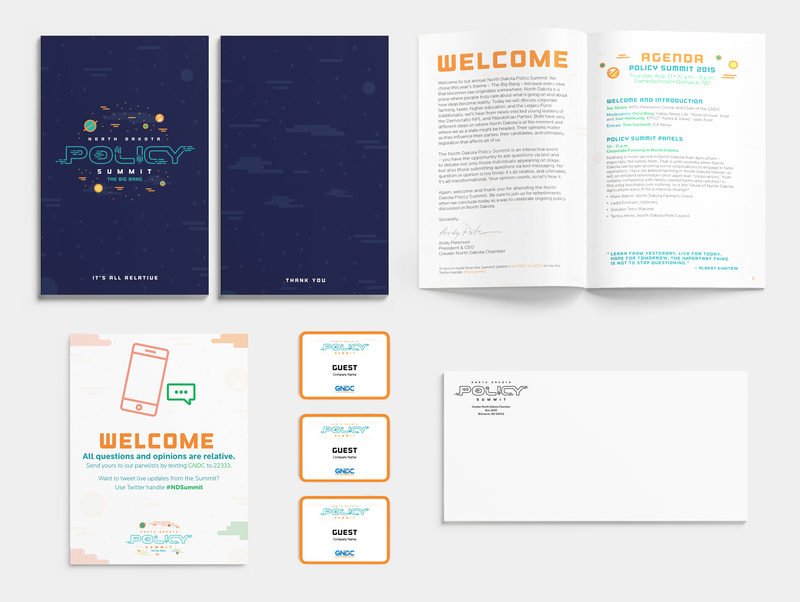 Inspired by the event’s theme “The Big Bang” – in that every idea that becomes law originates somewhere – Super Studio created an event poster, invitation, name badge and program. Materials not only drew people to the event but also helped engage attendees in productive discussions about North Dakota business.